A long time has passed since we have to accept the negative aspects of matching Yagi antennas. With modern software, knowledge and optimisation techniques, there is no reason for a Yagi to have any form or matching device. If designed correctly, the Yagi will present an excellent SWR curve over a given operating range when directly fed. 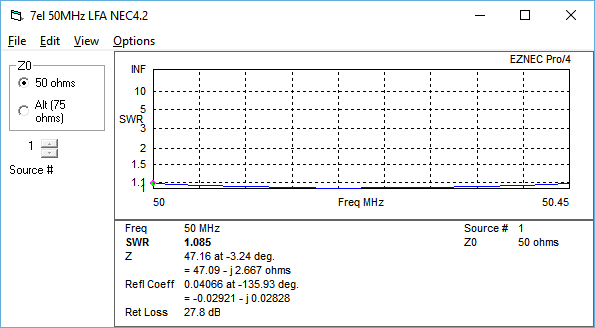 There is no reason for any low impedance Yagi to provide better performance characteristics than a 50Ohm type with or without the negative impacts and unmeasured losses matching devices induce. It is also important to note that there is no method of transforming anything, including impedance which is 100% efficient. This can be seen by the fact that any Yagi with a matching device has an input power limit, why? Because the matching devices gets hot. What makes it get hot to the point of destruction with just a few hundred Watts? The fact that so many of those valuable Watts are being lost as heat and not radiated from the antenna. So why are antenna matching devices so commonly excepted? One reason is highlighted in the next section, Software Desgin Limitations. Software packages commonly used by 'amateur' antenna designers are free or cost a few hundred pounds/dollars. While on very simple Yagis - those with straight, un-tapered elements and no complex element arrangements - accuracy can be achieved, once any form of complexity is added to these modelling engines or matching devices are added to the software model, huge inaccuracies occur. This is one good reason that modellers using EZNEC +, MMANA, 4nec2 (without the NEC4.2 engine) do not model, build or recommend non-conventional Yagi fed arrangements. Yes, there ARE hidden agendas! Below is a good example as to why 'amateur' antenna modellers cannot provide accurate designs for modern-day direct fed 50Ohm Yagis. The same antenna is modelled for SWR using EZNEC version 6. However, the first is using EZNEC+ version 6 (EZNEC Pro/4 with the NEC2 engine enabled), the second using EZNEC Pro/4 version 6. What is the diference? EZNEC + version 6 costs $149.00 and includes the NEC2 calculation engine. This is an electromagnetic design engine which predicts the performance in software of how an antenna might perform in the real World. The NEC2 engine has had no development ofr more than 25 years and is now free for anyone to use and completely open. TYhe disadvantages is more thna 25 years worth of inaccuracies and errors will exist for anything other than the most simple of antennas. EZNEC Pro/4 version 6 is the professional version of the EZNEC program which costs $675.00 for the base product. The most important aspect of this version of EZNEC is accuracy. The product uses the current continually developed version of NEC, NEC 4.2 which has a license fee of $500.00 for non-commerical use, $1500.00 for commerical purposes. Any bugs found, are fixed. Any inaccuracies reported, are investigated and fixed. Therefore, while the initial investment will be $1175.00 best case scenario, accurancy is assured. So perhaps this is another reason why matching devices are still commonly used within Yagi antennas, even with element taper correction algorithms in place, inaccuracies still exist, the antenna when built is still not as the model would suggest in terms of SWR and ultimately presented (software) performance parameters. An easy route to making the antenna look correct in the real world is to add a matching device. This can be adjusted to make the SWR look good wherever you want it to and mask the fact the antenna model has not be replicated. you could even construct the Yagi with elements in the wrong position and in some case, still adjust a matching device to show a good SWR. what on Earth would the antenna be doing performance wise? Makes you think doesn't it? Another failure of the 'amateur' antenna modeller that spilled into the commercial World more than 20 years ago is the inappropriate optimisation of VHF/UHF antennas for highest possible gain. This has produced an environment that is not ideal yet VHF and UHF operators have come to accept as being normal. This is one where if using any form of amplified power, you will always be in a position where you can be heard by more stations than you can hear (generally weaker, smaller ones). So what is the issue with optimising for highest possible gain? Let us take a look at the entire receiver chain form the radio to the antenna. The Antennas is the very front-end of the receiver and is collecting all signals which will be processed by the receiver itself. When a receiver is being setup and tuned, each section of the receiver is not tuned for maximum gain, it is tuned for minimum noise, why? Receiver performance is all about signal to noise ratio - the delta between the desired signal and the noise floor - this is known as the signal to noise ratio. If the receiver is tuned for absolute maximum gain, the difference between the wanted signal and noise floor reduces and therefore, the signal to noise ratio has reduced meaning the ability of the receiver to be able to hear weak signals has decreased too. So if we tune every aspect of the receiver for minimum noise, why optimise the antenna - the front-end of the receiver - for maximum gain? It goes against the setup parameters of every other part of the receiver chain and is therefore counterproductive. Make no mistake, there is no difference between what happens elsewhere in the receiver chain and that of the Yagi, optimising for every last ounce of gain reduces the ability of the Yagi to receive weak signals. Have you ever heard the saying 'A little knowledge is a dangerous thing'? This applies in so many areas of life including antenna modelling. A good example is when Yagi design parameters for one band are confused or integrated into another. A Yagi of a given size which is ideally optimised for one band, may not be an optimal Yagi if scaled for another band and there are many reasons for this but it is often one that is cloudy and the really associated benefits or reasons they need to be different is not widely known. DK7ZB presents a case on his 50MHz Yagi page that Yagis with reduced side lobes are not needed for this band with the reason given being that G/T - Gain over Temperature a mean opinion score for the measurement VHF Yagis ability to receive weak signals - makes no difference to the antennas performance on the bases that the reduction of side lobes makes no significant improvement to the G/T of Yagis on 50MHz. The first point of note requires an understanding of G/T and what the temperature measurement is that is described in this passage by DK7ZB. Temperature refers to Sky Temperature which is measured in degrees Kelvin. At upper VHF frequencies and UHF frequencies and where the antenna/station is in very quiet locations away from city environments, background noise levels are extremely low. In these unusual and rare conditions, background noise level changes can be heard when Yagis are in close proximately to or pointing ate ground, or sky based noise producers such as the Moon or Sun. The G/T measurement provides an indication as to the level of noise a Yagi will pick-up from warm earth or sky based noise generators when the Yagi is pointed away from these subjects. This information is very useful for ham wanting to use very weak signal modes such as Earth Moon Earth (EME), meteor scatter and other such modes. However, the issue here is the exceptionally low levels of noise generated by 'warm earth' are irrelevant at 50MHz as Sun noise is significantly higher than warm Earth on this band. Therefore, quoting G/T performance at 50MHz has no bearing at all. For most of us however, there are much higher noise sources in urban or city environments that will impede our ability to enjoy the bands we love. 50MHz is one which suffers with a lot of high-level man-made noise and significantly reducing side lobes in all directions (specifically straight up and down) by optimising the Yagi for minimal noise, not maximum gain - optimising for signal to noise ratio - drastically improve the user experience by increasing the stations ability to hear weak signals. 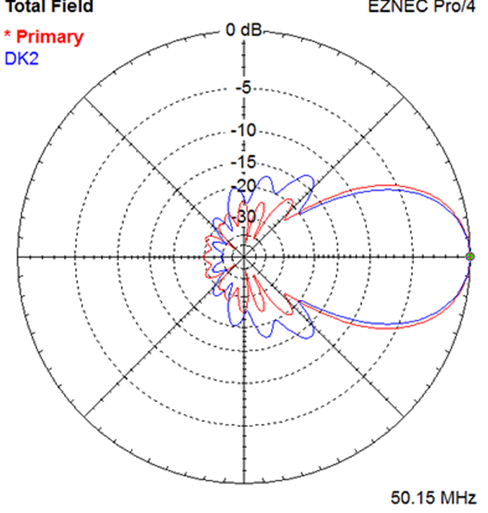 The image above shows DK7ZB designed Yagi (blue) overlaid with a G0KSC Low Noise Yagi (red) of a similar boom length, in the elevation plane. Elevation meaning the lobes on the '0dB' line which are lobes looking directly upward, and straight down below the antenna (maybe your shack, your house or neighbours house are in view of these lobes?). Optimising for minimum noise has drastically reduced side lobes in these directions by between 1 and 2 S points in some cases. Can you imagine the impact on your user experience if in some directions you have a noise floor of S3 and this could be reduced to S1? This is the reality of giving up a few tenths of a dB of forward gain - the ability to hear more as well as be heard! Not a G/T measurement in sight for this reality check. So how real is this? Take a real world example. This ham in Canada had the luxury of being able to install a new 50MHz 7 element LFA along side his original antenna, a popular 7 element antenna designed by a well-known American brand which has been designed using the 'gain, gain, gain' concept. 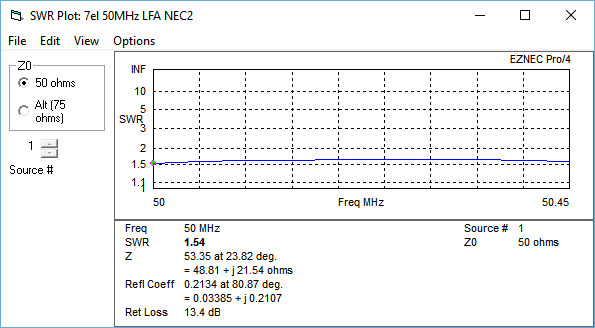 Note that no just is the noise floor a lot lower on the LFA Yagi, this received signals are comparable which means they are far better received on the LFA. In some instances, the signals are beaering heard on the traditional style Yagi but Q5 on the LFA. So is it just 6m that the Yagi optimised for Signal to Noise Ratio works best on? No, it will show improvements on any band where you are in a high-noise location, city lots, urban locations infact anywhere other than a shack that is in the middle of no where! Take this next example, a 28MHz LFA Yagi installed at a relatively quiet club station. Note again the background noise difference and the delta between the signal and noise as the antennas are switched. What more proof? There are many noise comparasion examples on YouTube, take a good look around. Also, ask LFA users (not those that don't have LFAs) about their experiences and the difference between what they have now and what they have used in the past. The above statement is made by others often, I have seen this on many a website. You are sold on the low noise benefits of G0KSC antennas optimised for SNR, so are many amateur and ham antenna designers are too. However, having promoted their more traditional style Yagis for many years means it is difficult to pull away from and now recomend something else, credibility and integrity are at stake. Additionally and as we have discussed, they do not have the means to accuratley model such antennas in software anyway. As a result, they stick to their traditional, simple designs and provide cleverly presented comparisons. Could potential G0KSC Yagi users to go another route if an antenna appears to be the same or better? It is possible, ultimately, the decision is yours but ensure you compafre apples with apples. If this pattern is the same at one frequency, is the bandwith the same? How about the side lobes either side of the compared frequency, still good? 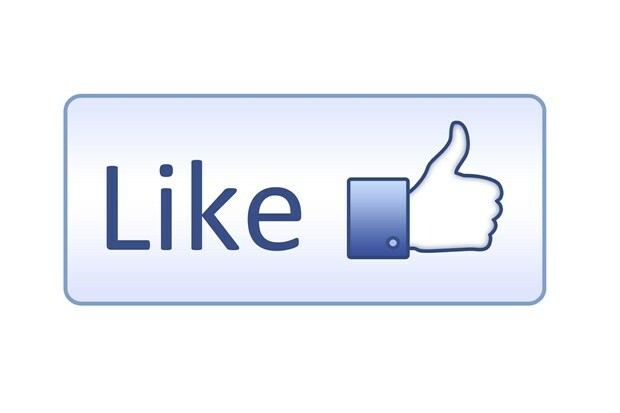 Check VERY carefully because ultimately, you could be sold out of every-day usable performance. There is far more to a low noise Yagi than spot-frequency side lobe reduction, so many that it would need a chapter in a book such as The ARRL Antenna Book 2016 (which I am a contributing author of) to explain it all. Antenna bandwidth is important too, as is the optimisation of the Yagi in the Elevation plane rather than the Azimuth plane in order to enhance wet-weather stability. It is far easier to obtain a low noise looking Yagi with a very narrow bandwidth than it is to produce a very wide band antenna like the G0KSC LFA, OWL, OP-DES (etc.) that remains stable pattern-wise over a wide bandwidth. The narrow-band Yagi looks good on paper and at one frequency but how is it at either side of the band? What does it perform like when wet or covered in snow? Make sure that low noise antenna you see is not all smoke and mirrors. If there is any doubt, stick with the G0KSC Yagi!